What makes HealthTrack different to other alternatives? Extensive clinical research on the majority of stored test results. But how will this help you? Each module includes specific screens for the associated procedures. 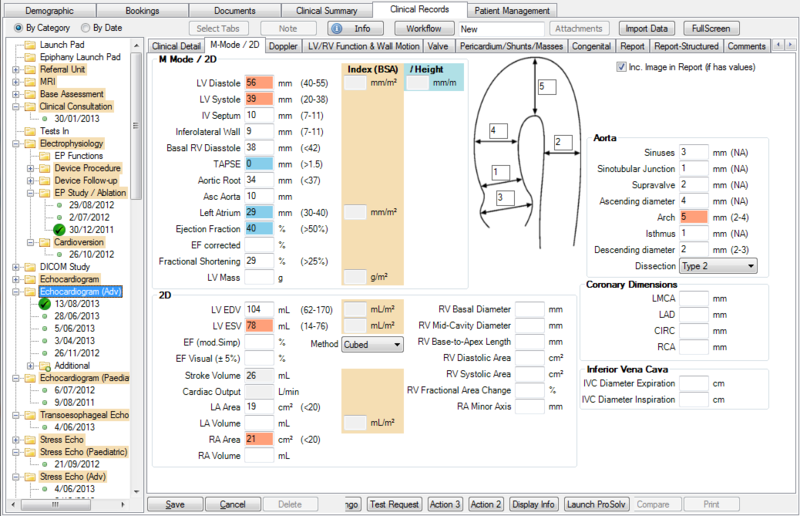 The sample screen below is part of the echo reporting function from the non-invasive module. 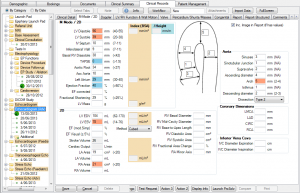 This can be integrated with the echo machine DICOM database, so the results are downloaded into the individual fields. Many systems save the test result as free text or PDF, but this prevents the ability to compare individual results over time. HealthTrack imports the data at the atomic (individual measurement) level, delivering comparison and research potential of the data. As new medical evidence emerges, so does the approach to treatment and targets. Many systems limit research to a handful of common results; however HealthTrack can enhance comparison and research opportunities to most test results stored in HealthTrack. Data mining of stored results can occur to summarise numbers fitting the entered parameters or create lists of patients for potential recall. Many industry standard systems may allow diagnostic test result to be imported and saved as in PIT format. HealthTrack’s fundamentally different programming architecture allows individual results within a test to be identified and saved. HealthTrack can significantly improve productivity, some report up to a 30% increase, especially with pathology approvals. 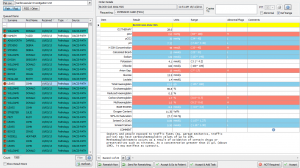 HealthTrack displays the reference ranges supplied by the pathology laboratory, and then colour codes ‘abnormal’ results by the supplied degree of variation (see below). The ‘abnormal’ results can be viewed in isolation to improve efficiency of pathology reporting. 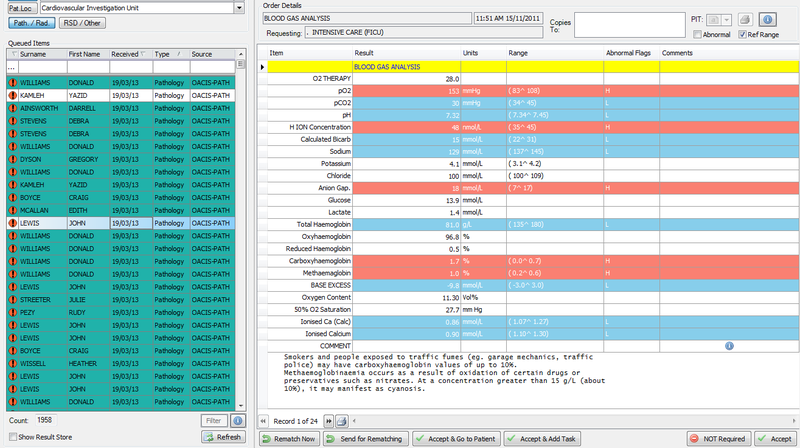 A patient’s results can be compared over time and viewed in table or graph formats. If you are lucky enough to already send reports and letters via encrypted sending (e.g. HealthLink or ArgusConnect), then you will know that you need to select each recipient individually and send the document via the correct provider. HealthTrack has a fully integrated ‘Document Distribution System’ (DDS). HealthTrack users simply select all the recipients of the document at the time of creation. When the document is “Approved” (finalised), HealthTrack automatically works out how the document can be sent to each recipient and sends it, or places it in a print queue for manual printing and distribution. HealthTrack DDS attachments can include a PDF of the document including your logo and diagrams. HealthTrack ‘Document Distribution System’ dramatically improves document distribution efficiency and accuracy, saving you time and money.